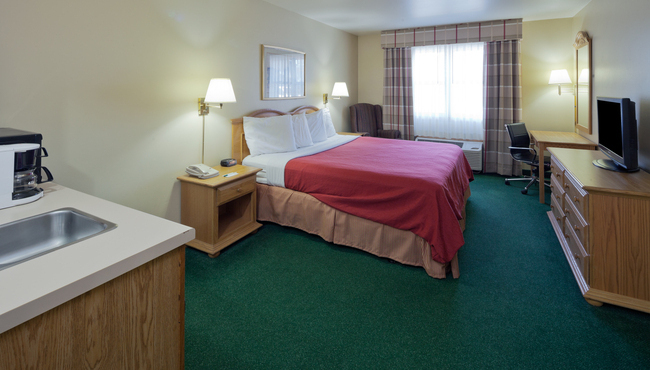 Settle in for a relaxing evening in your hotel room or suite at the Country Inn & Suites, Sparta, WI. Store your favorite beverages in the refrigerator and heat up snacks or leftovers from one of the nearby restaurants in the microwave. Unwind with an episode of your favorite HBO series on TV before turning out the lights for a restful night’s sleep. In the morning, enjoy a fresh cup of coffee while you peruse the free weekday newspaper or catch up on social media with free Wi-Fi. Enjoy an inviting stay in one of our Standard Guest Rooms with the choice of one king bed or two queen beds. 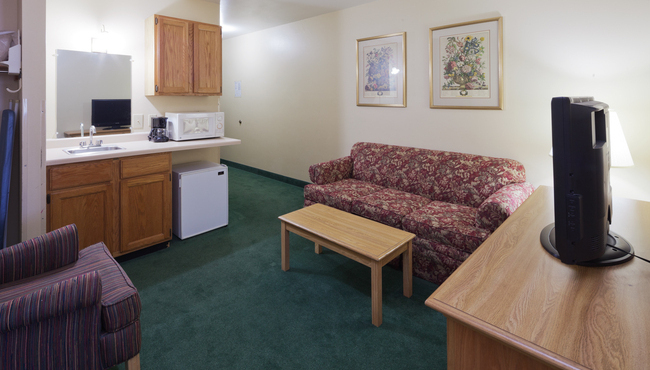 If you are looking for more space, our Studio Suite features a private bedroom and a separate living area with a sleeper sofa. Guests have the choice of one king bed or two queen beds. For a romantic getaway reserve our Whirlpool Suite, which features a king bed, an in-room whirlpool, and a separate living area with a sleeper sofa.